What is the concept of limit? What do we mean by the continuity of a function? What do we mean by the differentiability of a function? Limits, Continuity and Differentiability can in fact be termed as the building blocks of Calculus as they form the basis of entire Calculus. 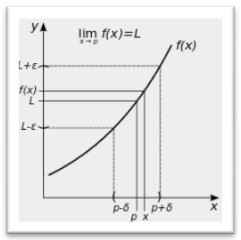 The basic concept of limit of a function lays the groundwork for the concepts of continuity and differentiability. These concepts can in fact be called the natural extensions of the concept of limit. In this section we shall just give a brief outline of all these three concepts as they have been discussed in detail in the coming sections. This is well illustrated through carefully selected solved problems of different levels. 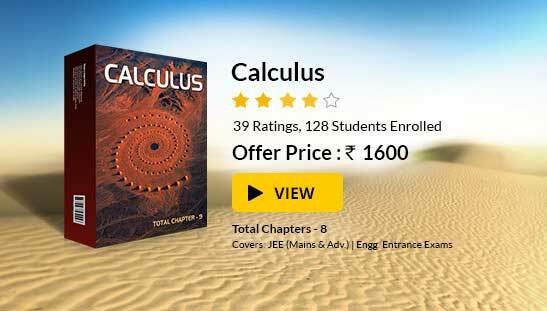 "Limits, Continuity and Differentiability" is one of the easiest and important chapters of Calculus in the Mathematics syllabus of IIT JEE, AIEEE and other  engineering examinations. These laws are not only important from the point of view of Mathematics but they are also very useful to a large extent in Physics and  Physical Chemistry. The examples based on this are very easy and can be helpful in mastering the topic. Let f be a function defined on an open interval containing a point ‘p’ (except possibly at p) and let us assume ‘L’ to be a real number. ∀ ∈ > 0, ∃ a δ > 0 such that 0 < |x – p| < δ ⇒ |f(x) – L| < ∈. 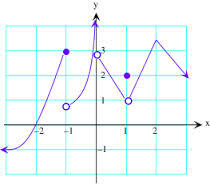 Let y = f(x) be a given function and x = a is the point under consideration. Left tendency of f(x) at x = a is called its left limit and right tendency is called its right limit. f(a + 0) = lim h→0 f(a + h), where 'h' is a small positive number. Thus for the existence of the limit of f(x) at x = a, it is necessary and sufficient that f(a – 0)  = f(a + 0), if these are finite or f(a – 0) and f(a + 0) both should be either +∞ or -∞. Several methods can be used for evaluating the limit of a function. We have just listed the various methods here. For more information on the methods, students are advised to refer the later sections. lim x→a- f(x) = lim x→a+ f(x) = f(a). Thus, unlike limits, for continuity it is essential for the function to be defined at that particular point and the limiting value of the function should be equal to f(a). The sum, difference, product and quotient of two continuous functions is always continuous. But, in case of quotient of two functions, the denominator must be zero. 1. lim x→a- f(x) and lim x→a+ f(x) exist but are not equal. 2. lim x→a- f(x) and lim x→a+ f(x) exist and are equal but not equal to f(a). 3. f(a) is not defined. 4. At least one of the limits does not exist. ….. if you can draw the curve without lifting your hand from the paper, the curve is continuous. For ant point c such that a < c < b, f'(c+) and f'(c-) exist and are equal. Differentiability always implies continuity but the converse is not true. This means that a differentiable function is always continuous but if a function is continuous it may or may not be differentiable. Let us now have a look at a question on differentiability once asked in IIT JEE. For in-depth study of the topic, students may refer the later sections on the topic. 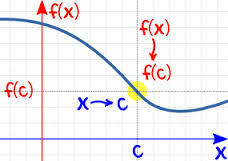 Hence, f is continuous at x = 0 and f is also differentiable at 0 and has a value zero. Limits, Continuity and Differentiability is important from the perspective of scoring high in IIT JEE as there are few fixed patterns on which a number of Multiple Choice Questions are framed on this topic. You are expected to do all the questions based on this to remain competitive in IIT JEE examination. It is very important to master these concepts at early stage as this forms the basis of your preparation for IIT JEE and other engineering entrance examinations. (c) if both the left and right hand limits exist and are equal to the value of the function at the particular point then the function is said to be continuous at that point. (a) left and right discontinuity. 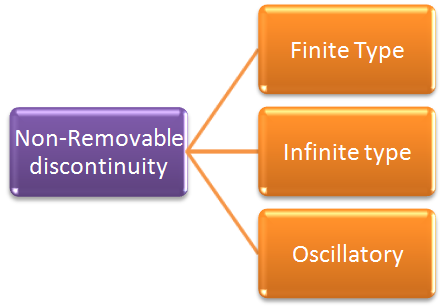 (d) removable and non-removable discontinuities. (a) a differentiable function is obviously continuous. (c) a function is continuous iff it is differentiable. You may wish to refer Limits using Sandwich Theorem. 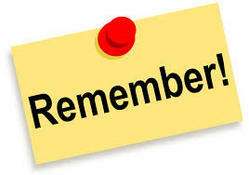 Click here to refer Preparation Tips for Limit and Continuity. To read more, Buy study materials of Limtis and Continuity comprising study notes, revision notes, video lectures, previous year solved questions etc. Also browse for more study materials on Mathematics here.